The best way of downloading videos is here. You can download all the flash embedded videos from almost any site with a click of a button. Yes, the flash videos are literally a click away. 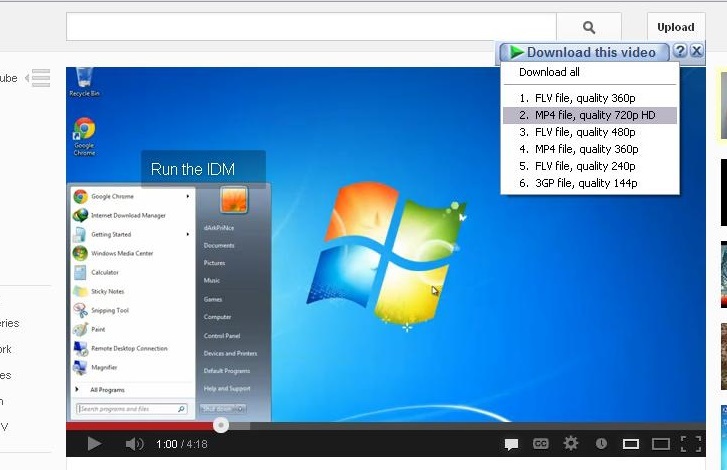 After installing IDM, a "Download This Video" button pops up whenever you are watching a video anywhere in cyberspace (shown in the picture below). Just click on the button to start downloading clips. It's as simple as that; you do not have to separately launch Internet Download Manager. What's more, you can choose to download a clip at any point during the video, and the scene will be captured from the start. The download will proceed in the background even if you pause or stop watching. And you can download more than one video at the same time. © 1999-2018. All rights reserved.